In recent years, many law firms, as well as other service firms, “became undifferentiated ‘big box stores’ offering the same practice capability at similar pricing delivered from an identical economic model and objective.” said Marc Cohen in a legal commentary for Forbes. Cohen’s view is that practicing law is no longer simply about knowing—or selling—legal knowledge. “Practice expertise” must now be provided by all service providers that is leveraged by technology to provide clients faster, better, less expensive and more quantifiable results on a predictable and customer-focused basis. When legal delivery was exclusively controlled by lawyers and firms, there was little need for them to differentiate. Differentiation is now key for all service firms, states Cohen. In the past, this was also true for commercial real estate firms, where brokers possessed the market knowledge and the client was dependent on them for obtaining that knowledge. Not so anymore – real estate market data is available in numerous forms to anyone willing to subscribe to the services. Having market knowledge is now the lowest common denominator and the differentiator now is about HOW that knowledge is leveraged or “Practice Expertise”. “To Lead Change, You Need To Be The Change” stated Dede Henley in a Jan. 2018 article in Forbes. That’s why you’re the leader. It’s your job to sell the change. Change is not an easy sell, and leading it is a test. It is okay to demand more of your people. They don’t have to like it. But they do have to do it. And they will, if they see you’re in it with them because everyone in the company must understand the consequences of NOT changing. By choosing to change, you choose to grow. You choose to grow more skilled. You choose to grow more experienced. You choose to grow more connected. Change requires discipline. Sandberg cites the concept of “ruthless prioritization”, which doesn’t mean getting all 10 things you have on a To DO list done. Instead, it means ONLY doing the very best of those ten ideas. You have to make the hard choices. That means figuring out which 5 things you can do really well and then following through. Change requires a commitment to learning. We should no longer take it as an automatic compliment to hear that we’re “hard working.” Hard work isn’t always the best work. The key is to work smarter. Leave the good behind, and start focusing on the great. ‘Working hard’ is the industrial era approach to getting ahead. ‘Learning hard’ is the knowledge economy equivalent. “In my whole life, I have known no wise people who didn’t read all the time — none. Zero.” said Charlie Munger, self-made billionaire and Warren Buffett’s longtime business partner. Warren Buffett spends five to six hours/day, reading five newspapers and corporate reports. Billionaire entrepreneur David Rubenstein reads six books a wee. 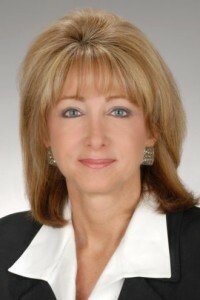 Susan Arledge, SIOR, is president of the site selection and analytics team at ESRP Real Estate, and “learning hard” to avoid offering the same practice capability at similar pricing delivered from an identical economic model and objective.